Find Mableton, GA Homes for sale. View Photos, Maps and MLS Data Now! Home Comes With A 30-Day Buyback Guarantee. Terms And Conditions Apply. MLS#6529859. Opendoor Brokerage, Llc. This Unit Is Located Close To Shopping, Restaurants And Parks With Easy Access To Highways. MLS#6536234. Sharkey Real Estate, Llc..
Legacy At The River Line - The Community Has A Clubhouse, Swimming Pool, Fitness Facility, Tennis Courts & Wonderful Parks Within The Community. MLS#6536064. Keller Williams Realty Cityside. Regency At Oakdale Ridge - Amenities Include Salt Water Pool, Dog Walk Areas & Path To Lighted Tennis & Playground. 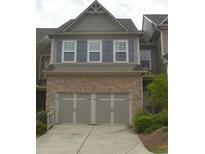 Close To I-285/75/20 & The Battery MLS#6535590. Dorsey Alston Realtors. Providence - (Exterior Siding Scheduled For Painting By Hoa By Early May & Deck Being Painted In 2 Weeks) MLS#6535621. Real Living Capital City. Concord Trails - Open Deck For Grilling + Covered Deck Space; Perfect For Entertaining. 2-Car Garage. MLS#6535190. Berkshire Hathaway Homeservices Georgia Properties. Cobblestone Creek - Gated Swim Community W/ Clubhouse Made For Entertaining! Welcome Home! MLS#6535408. Atlanta Communities. Regency At Oakdale Ridge - Easy Access To The Interstates, Silver Comet Trail,Suntrust Park,Groceries,Shopping, Etc. Must See Inside! MLS#6534871. Keller Williams Buckhead. Providence - Don'T Miss This Great Opportunity To Own Your Own Home! MLS#6532454. Keller Williams North Atlanta. 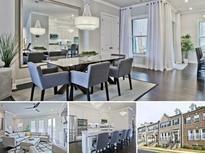 Providence - Check Out The Pics & Schedule A Showing! MLS#6534386. Coldwell Banker Residential Brokerage. Providence - Come Fall In Love With Your New Sanctuary And Make It Your Next Home. MLS#6528500. Keller Williams Atlanta Classic. Generous Sized Secondary 2-Bedrooms W/1 Private Full Bathroom. MLS#6531894. Ashton Woods Realty, Llc. Vonda Lane - All Homes Will Be Completed By Mid April (Not Your Ordinary Builder) MLS#8557991. Bhgre Metro Brokers. Tons Of Natural Light. Views Of The City Skyline. MLS#6531574. Coldwell Banker Residential Brokerage. Cooper Hills - Open House Sunday 4/7/19 From 2-4 Pm. Professional Photos Coming Soon. MLS#8558305. Exp Realty Llc. Providence - Priced To Move Quickly So Make Your Appointments Today Before This Disappears! MLS#8556766. Terrace 24 Realty. 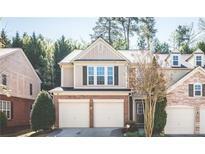 Regency At Oakdale Ridge - Close To Silver Comet Trail, Suntrust Park And Airport. MLS#6528539. Berkshire Hathaway Homeservices Georgia Properties. Coopers Glen - Come And See This Home Today! MLS#8546052. Keller Williams Rlty. Buckhead. This Home Is Centrally Located Near Restaurants, Parks, Schools With Easy Expressway Access. MLS#6525096. Bhgre Metro Brokers. Riverview At Vinings - Upper Level Boasts An Oversized Owners Retreat With Sitting Room And Two Additional Bedrooms.The 1St Floor/Terrace Level Has Bedroom & Full Bath And A 2 Car Garage. MLS#6524893. A T Morris Realty Group, Inc..
Upstairs Has 3 Nice Sized Bedrooms W/Jack & Jill Bath.Special Terrace Level Features Bar Area, Game Room, Bedroom, Bath, Media Room, & Fitness Room.Great Community W/Resort Style Amenities! MLS#8547412. Keller Williams Rlty Cityside. Regency At Oakdale Ridge - Large Secondary Bedrooms, Upstairs Laundry Room W/ Washer and Dryer. Great Pool And Amenities! MLS#6523157. 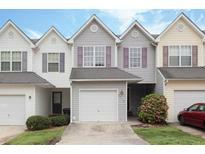 Title One Realty, Llc..
Cobblestone Creek - Close To Shopping And Major Highways. Hurry, This Won'T Last! MLS#6523186. Foundations Realty Group, Llc. Excellent Location Just Minutes From Downtown Atlanta And Quick Access To I-20 And 285. MLS#6522088. Atlanta Communities. 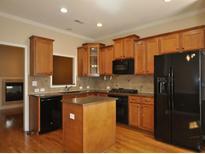 Crestbrook - This Home May Qualify For Seller Financing. See Attachment In Docs. MLS#8545241. Miller Realty Llc.